This is another postcard that I purchased at an estate sale! This one is of Riverboat McDonald's. This "floating McDonalds" closed in 2000. 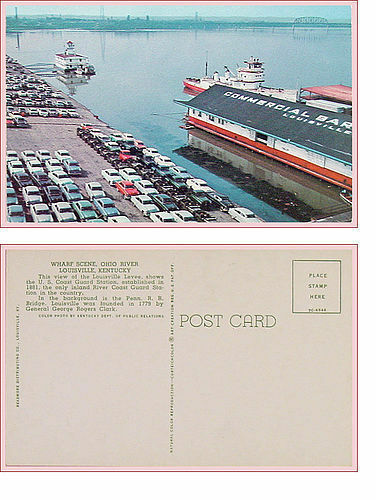 Back of postcard has “Riverboat McDonald’s, St. Louis, Mo.” and “World’s first floating McDonald’s”. Another vintage souvenir postcard purchased years ago at an Indiana estate sale! 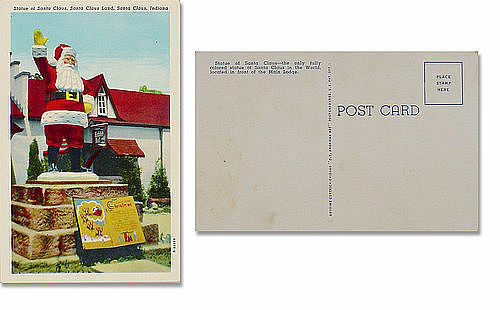 Purchased at an Indiana estate sale a few years ago, this listing has a vintage non-mailed souvenir postcard from Santa Claus Land in Santa Claus, Indiana! This tourist attraction was renamed Holiday World many years ago so items that are marked/identified as Santa Claus Land are in much demand by collectors. 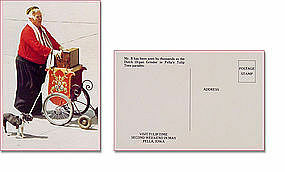 This is an unused postcard of Mr. B, the organ grinder in Pella’s Tulip Time parades in Pella Iowa. Postcard is in very good to excellent condition. 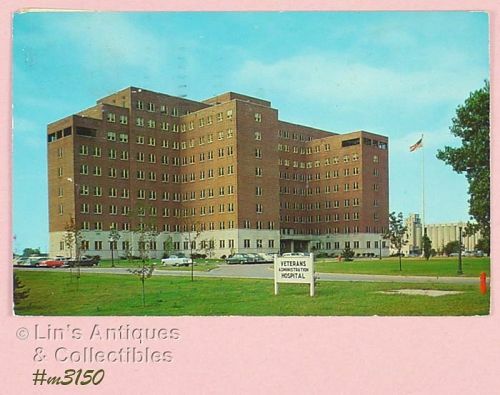 Postcard from Veterans Administration Hospital in Indianapolis, Indiana! Postmarked 1959 and has three cancelled one cent stamps. 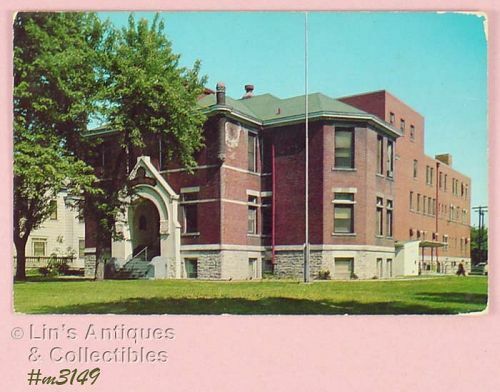 Interesting postcard depicting Clark County Memorial Hospital! Postmarked 1958 and has cancelled 3 cent Liberty stamp. Dated and postmarked July 27, 1923, this is an interesting postcard! It’s number “15168. 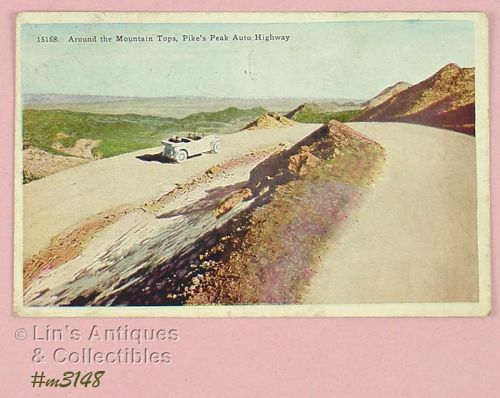 Around the Mountain Tops, Pike’s Peak Auto Highway”. 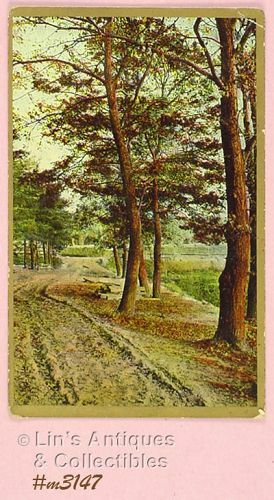 Printed in Germany, this postcard has a country road and rural scenery. It has been mailed but has no postmark date and the one cent stamp was not canceled. 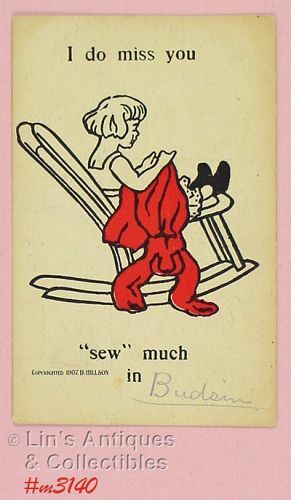 Made in Germany, this adorable postcard was mailed in 1907 and has canceled one cent stamp! 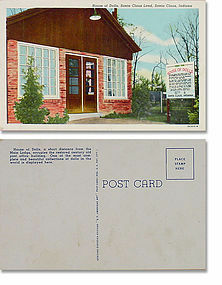 Two postcards were mailed (1954, 1962) and have canceled stamps, the other postcards are unused! 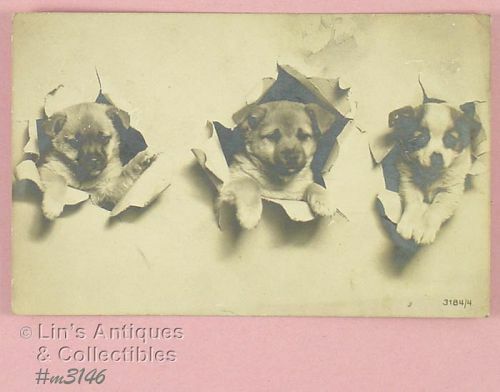 The “Dog on Ice” postcard was mailed in 1907, the little girl with 5 puppies was mailed in 1925, and the other card was not mailed. 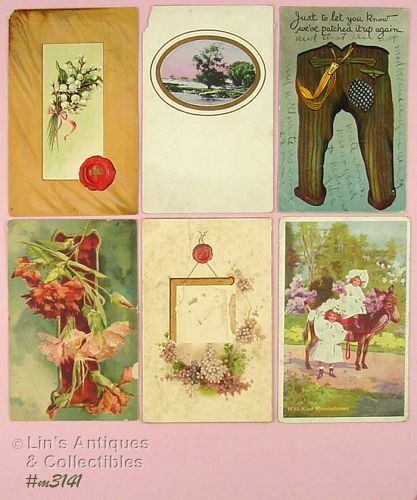 Six assorted postcards in this listing! They have postmark dates 1907 through 1952. 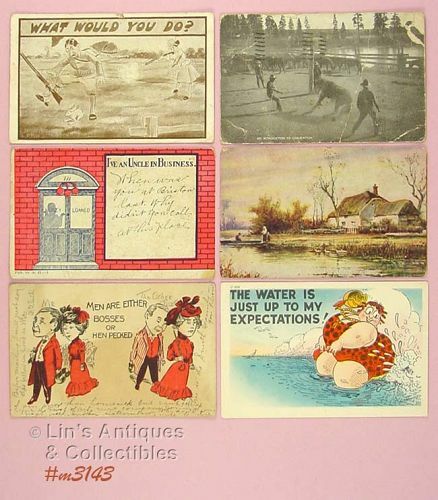 Neat postcard assortment in this listing! There are 4 that have been mailed (2 in 1909, 1913, 1923), one has handwritten “to” and “from”, and one is unused. 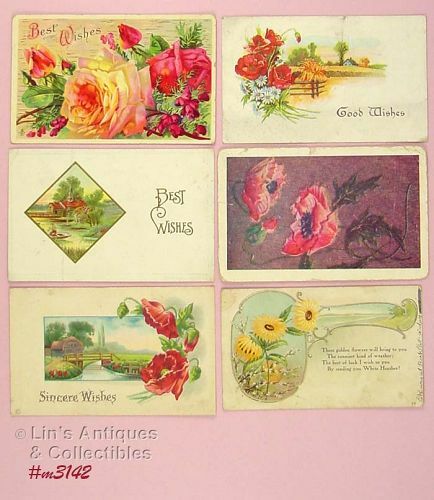 Six neat cards with postmarked dates of 1907, 1908, and 1909 (one date is not legible). One has been written on but was not mailed! 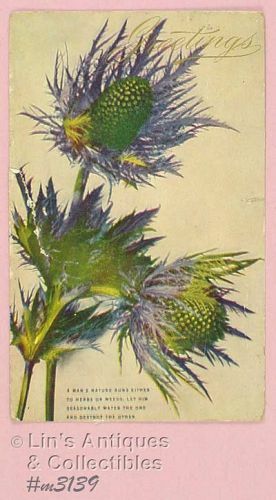 Neat postcard with “copyrighted 1907, D. Millson” on front! Mailed from Budsin, Wis. To Wantona, Wis. And has postmark date of 1908 with canceled one cent stamp. 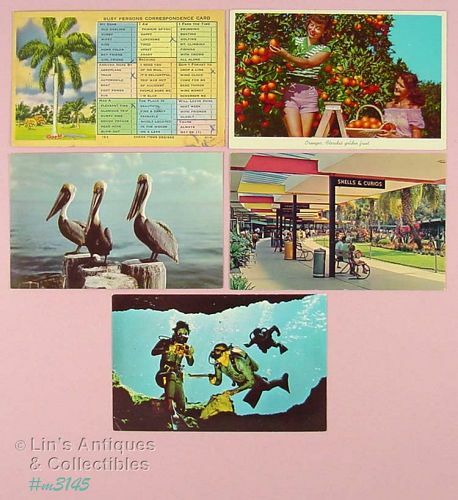 There are 5 postcards in this listing! 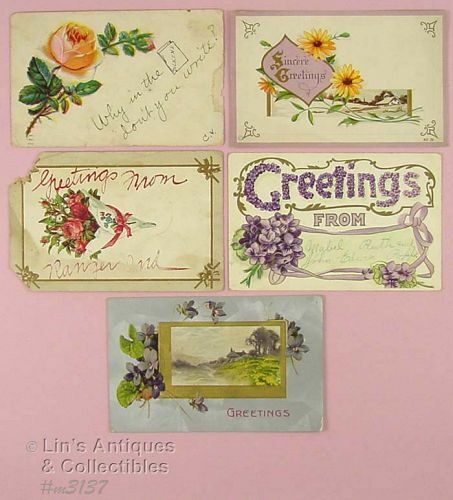 One “Why don’t you write?” is postmarked 1908, one “Sincere Greetings” that is unused, two “Greetings from” (one dated 1907, the other not mailed but has handwritten “to” and “from”), the last one is “Greetings” postmarked but is not legible.